Lazy Girl Designs brings us a fun way to play around with all of those zippers we collect. You can easily interchange your zipper pulls in this SweetPea Pods pattern. With the One-Zip technique, you cut the zipper apart and remove the pull. Sew one side of the zipper to the fabric, use her trick to get a coordinating pull back on and complete the sewing process. This technique works with the Atkinson zippers and pulls and we have the colorful pulls in stock in the shop! The package comes with about 30 pulls to mix and match with your zippers. These make great little gifts and whip up in no time. 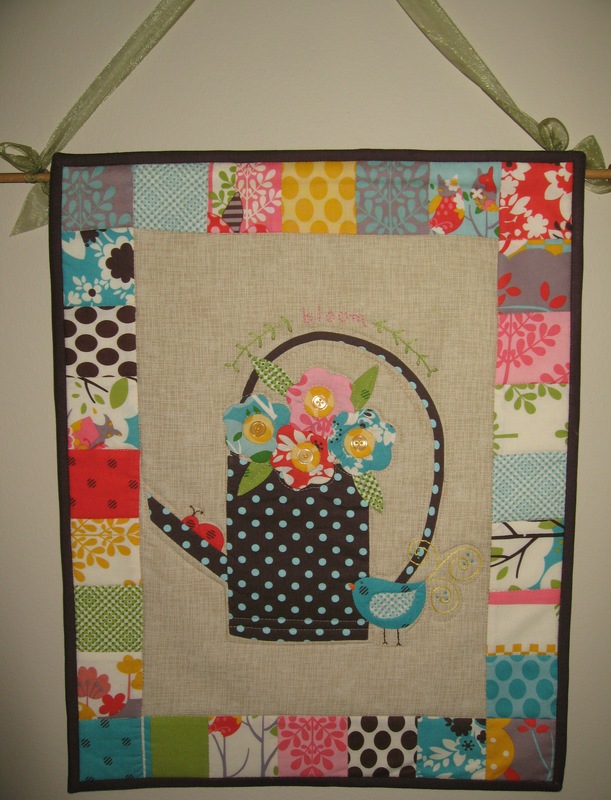 Two different FQ fabrics, one for the outside and one for the inside will give you 2 Pea Pods. I made these for the board members for Christmas and stuffed them with binder clips. This cute Pea Pod would also make a handy doggie treat holder when you take your pup on the road with you. I’m adding this idea to my project list! Or how about a Valentine’s one for your secret pal filled with chocolate hearts! Both patterns and pulls can be found in the SewMod Etsy shop. 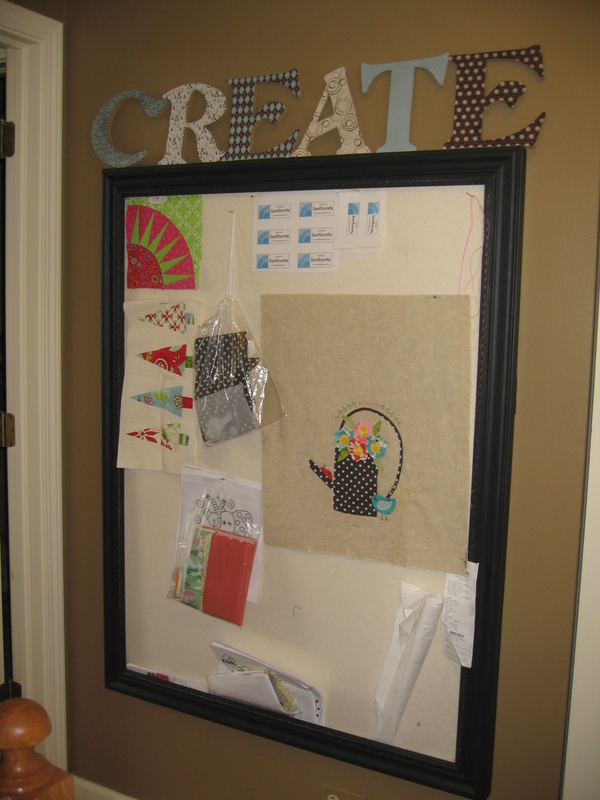 I was so focused last year on refocusing SewMod that I stayed constantly busy and barely left any time for myself. Owning your own business can sometimes leave you ‘working’ more and ‘enjoying’ your craft less. I do have to say though, all of that hard work does have its benefits. SewMod had its best year ever and continues to grow. 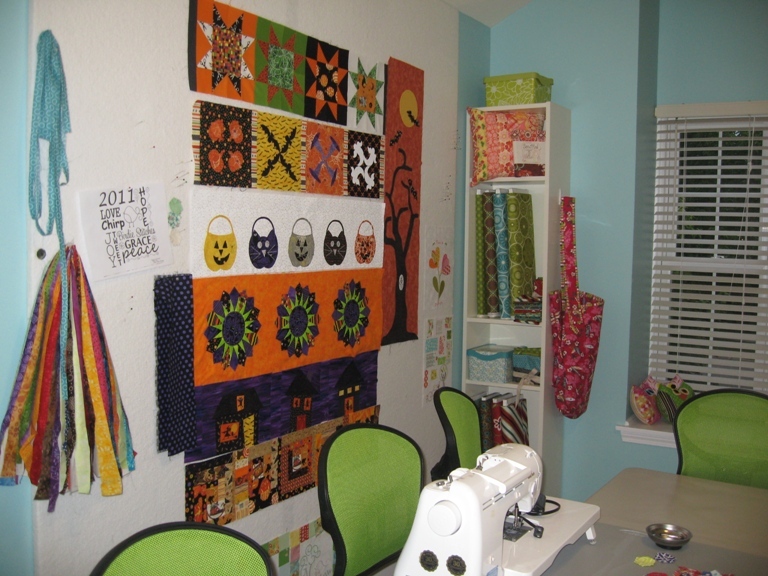 In 2015 I chose to regroup and send SewMod in the direction of more quilt kits and less fabric on the bolt. With the ever increasing online shops popping up, making my way as a small fabric shop on the Internet became difficult and I knew I needed a new game plan. I began providing you with affordable kits, most of them complete with backings and patterns, along with tips and tricks on the blog, focusing mostly on baby. 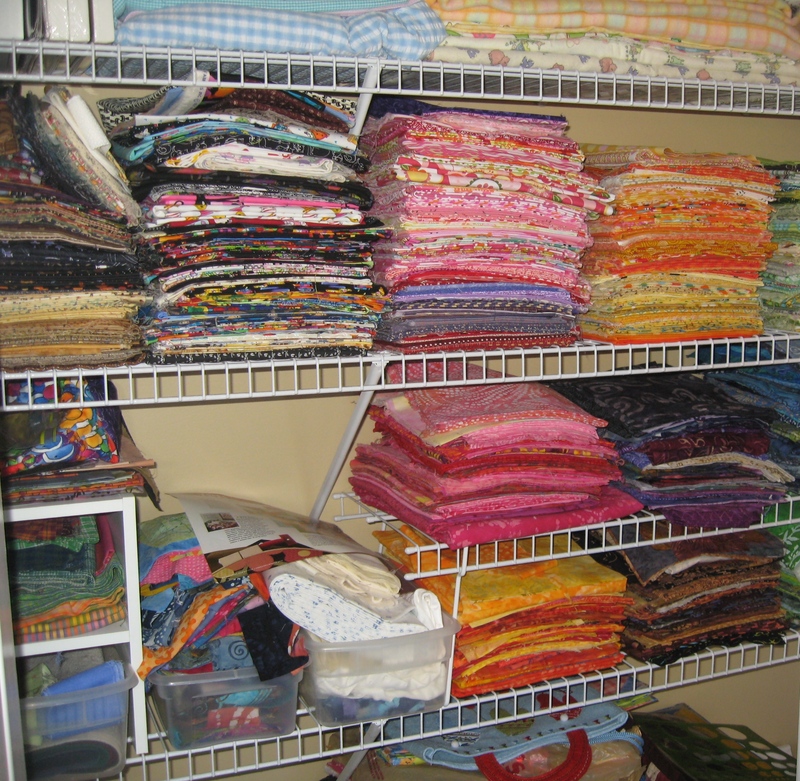 Most or all of the fabrics I order come into the shop with a preplanned purpose of kitting. The kit sample is made, the fabrics are immediately cut and kitted, and the fabrics that are then unused for the kits and left on the bolts are sold in the Esty shop or precut for quilt shows. This method has worked wonders for SewMod. I think I may have found my groove and I only have y’all to thank for hanging in there an being such great friends and customers while I try to figure everything out. I really do appreciate you! So while I completely transition SewMod over to this new method that’s worked so well, look for some upcoming sales. The first one will be for our CLMQG guild sew-in for January. I’m bringing all of the bolts from the Sale category on the Etsy shop and selling them for $5 a yard. If you see something you like guild members, just convo me and I’ll set it aside for you! Please bring cash for this event. And while I do enjoy kitting up all of the cute baby kits and sewing with all of the beautiful fabrics for you grown-ups too, I still want to leave time for myself to create something just for me. One of my New Years resolutions this year is to set time aside each month to create something that’s all mine. Something pretty. After all, SewMod’s tag line has always been Need to Create. And I know by doing this, SewMod as a whole will benefit from it too. And hopefully, I’ll not only be more creative, but I’ll inspire you as well. 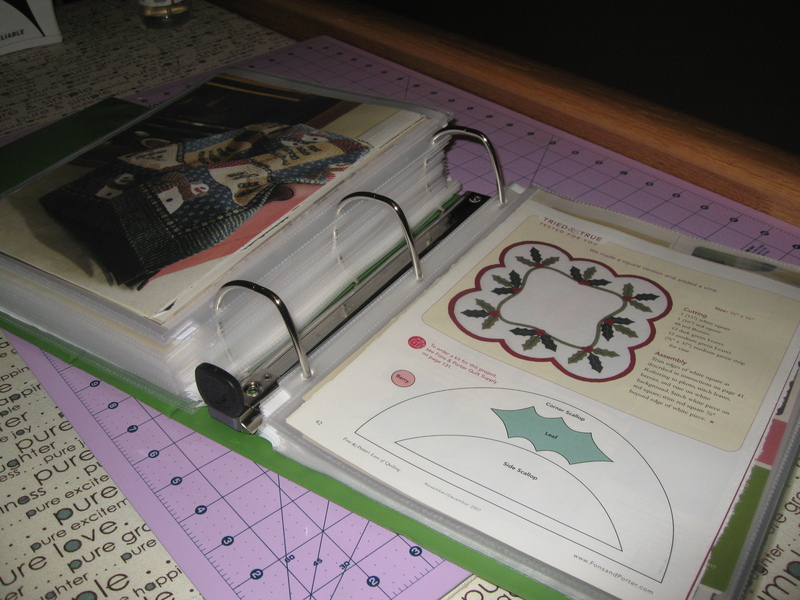 So along with making myself the Classmate for Christmas, Paige and I got together for a sew day at the end of last year and worked on Lella Boutique’s Goody Goody Binding Kit. A traveling kit that holds your thread, binder clips, needles and scissors. This is genius, especially since I’m always working on a binding while I’m in the car. And did I mention that’s it’s so stinkin’ cute?! You can find her complete step-by-step instructions along with with photos on her blog if you’d like to make one too. This project can easily be finished in one afternoon. I made one for our guild Christmas swap. And filled it with all kinds of ‘goodies’. I used all of the girly fabrics I like. The front and inside is Riley Blake’s retro Dresses fabric, my pocket is a bicycle print with flowers overflowing from the baskets, and of course, some polka dots! Whenever I take my quilts on a car trip for binding I always travel with the bobbin instead of the spool. So on mine, I added a piece of tiny ric rac and a button wrap closure instead of the Velcro thread holder which suits your Aurifil spool nicely. And this one is Paige’s. She used some of her Echino fabrics and also adapted hers for the bobbins also. Well done Paige! I love the fussy cut deer and that whimsy button! Stay tuned…more catch up coming this week! Playing catch-up…better late than never. whew..the end of 2015 went by so fast my head is still spinning. And while I feel like I accomplished quite a bit over the holidays, I definetly slacked when it came to blogging, so I’m going to try to play catch up over the next couple of weeks. Which, btw, did you realize it’s already the third week in January!?! First up is the Classmate pattern from Atkinson designs. I can’t say enough about how well her patterns are written. Step-by-step instructions that are clear as day make something that looks a little difficult, seem sooo easy! So ‘easy’ in fact that I made 4 of them in about 3 days! What a great tote to keep all your tools and supplies in for that quilt class or to take along with you to guild sew-ins. The first thing I want to talk about is some of the ingredients needed for this project that I haven’t used before. Annie’s Soft And Stable and Pellon’s Shape-Flex. Shape-Flex is pressed onto the back of the fabrics before cutting. This is the best interfacing y’all! I’m totally going to use this more often and I’m just wondering how the heck had I not heard of it before now?! 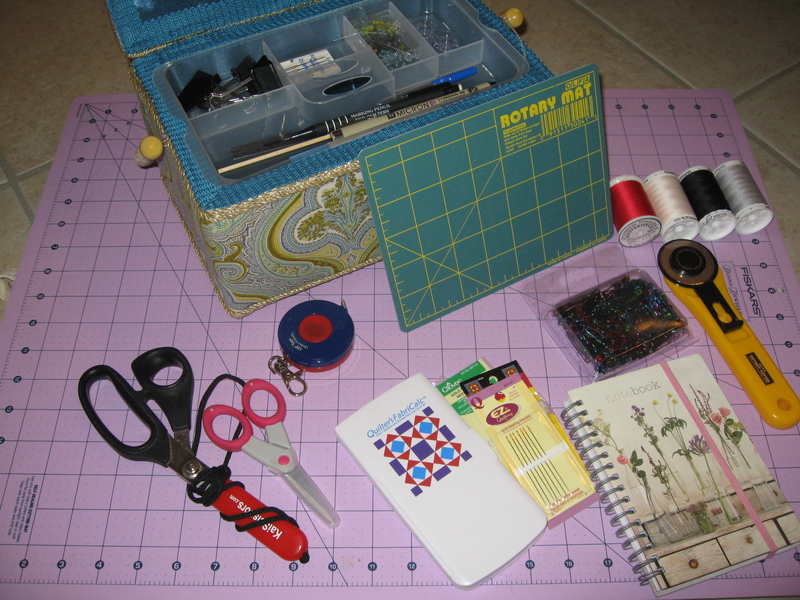 I read that it’s great for purses and backing my embroidery projects before stitching. It’s so nice and flexible. I think it just might help with that icky wrinkly effect that some interfacings give you even after its pressed onto the fabrics. 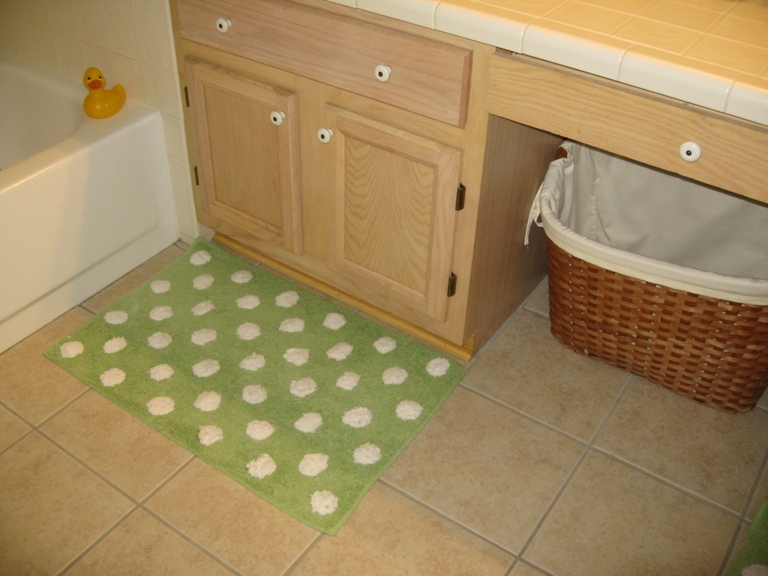 Annie’s Soft And Stable gave my project the stability it needed without feeling stiff. This is used as a replacement for your batting in projects like bags and totes. I wish you could touch my finished Classmate to see for yourself! And never fear the zipper installment when working on a Atkinson pattern. Once you sew a zipper with her method, you’ll always refer back to it on all of your other patterns that need a zipper. 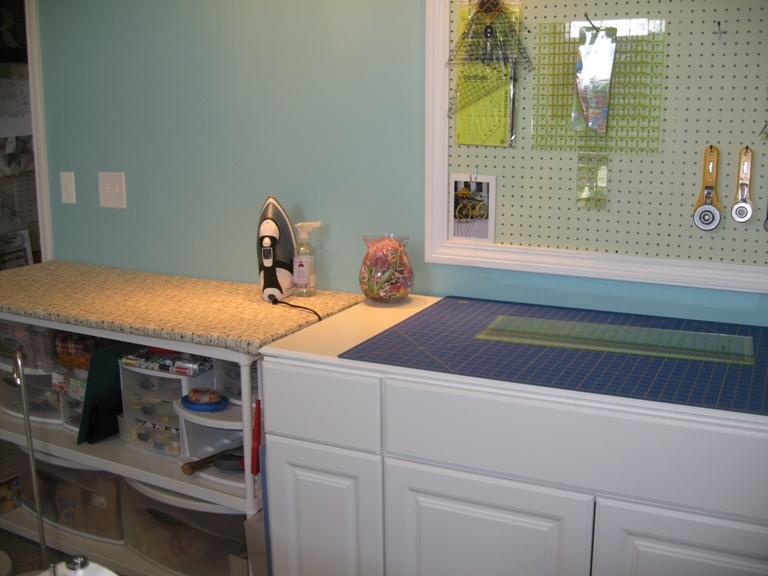 There’s also a great tip for sewing with vinyl. Just layer tissue paper between the presser foot and the vinyl. This helps the foot glide along without sticking. I just sewed mine right on top of the vinyl and pulled it away after I was was finished. The other tip I have is to skip the basting and use the Roxanne’s Glue Baste-it. This sped up my sewing and didn’t give me any issues whatsoever for taking the short cut of not pinning anything. I glue basted the entire thing!! I did skip the step on adding the pen pocket. I never carry marking utensils and if I did, I’d keep them zippered up, so I just made that an extra pocket. One last bit of advice…take the time to hand bind it and don’t forget to add your label. That’s the finishing touch. My Classmates came out looking so professional if I do say so myself! I gave them away to the girls for Christmas presents this year. But don’t take my word for it. Check ’em out! This one was made for Paige using Timeless Treasures ‘Sewing Words‘ fabric. Which I’m almost out out of, so if you love it like we do, then you’d better hurry! I made these two for Shelley & Wendy using two different prints from the Paradise line from Camelot Fabrics. I just love that little white floral print for the inside. And this one I kept for myself! I do hope that you take some time this year to make one of these. You won’t regret it. I promise! Oh, and I also hope this year doesn’t speed by as fast as 2015. How do we make time slow down? Is there a secret? 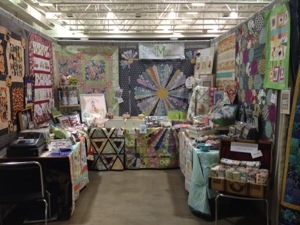 Come see us at the Madison Wisconsin Quilt Expo September 5-7th. 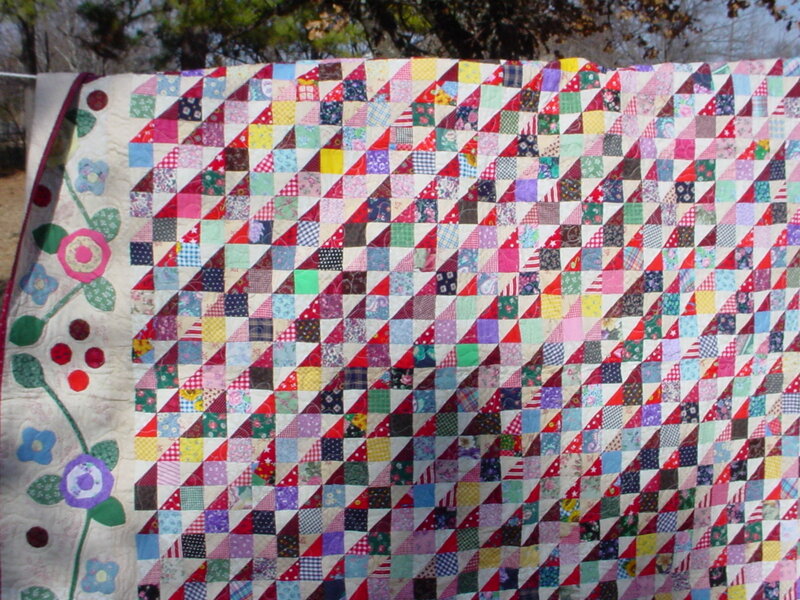 We’re so excited about all our new quilts and quilty things. We can’t wait to see you! 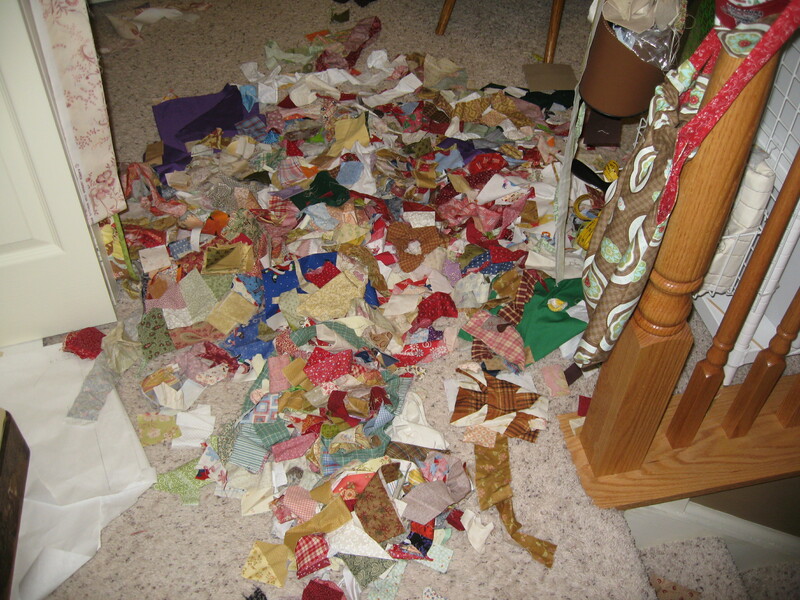 I cut all my scraps into usable sizes, 5″ and 2-1/2″ squares. I decided on this because I seem to use these the most and these sizes will still allow me to use these as applique scraps. I thought a lot about this and knew I would have a considerable amount of waste. But what’s even more wasteful is the fact that I’d collected all these scraps and wouldn’t even open the bin because it was so unorganized and overflowing. It was too overwhelming to go through. At least now I can see what I have. 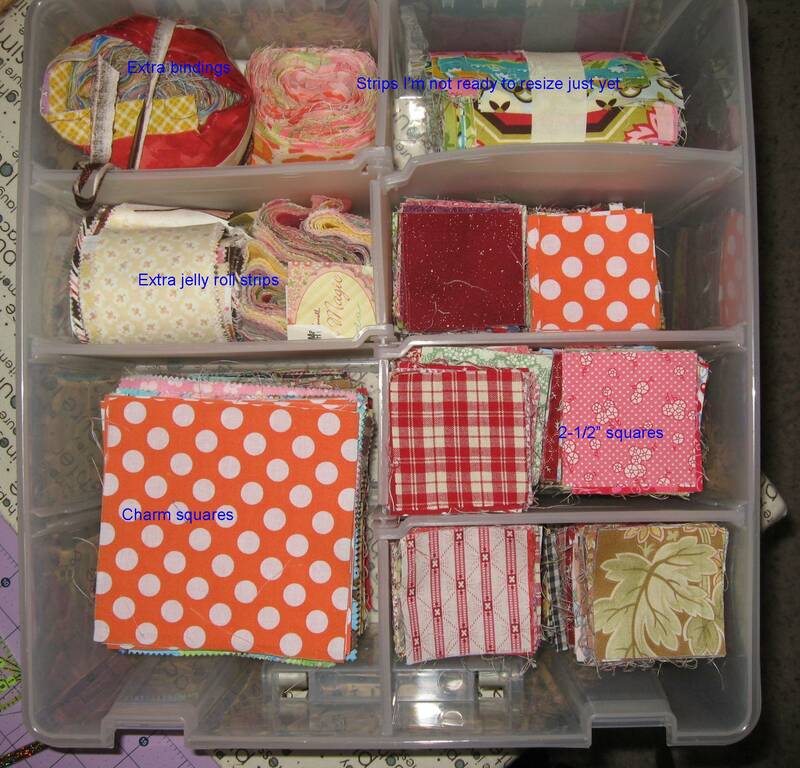 I bought a container at Joann’s but ideally I want to make a trip to the Container Store for a better one because I think I would prefer to not only have the squares organized by size but also color. If I need a red square for applique, I would know exactly where it is. But this will have to do for now. 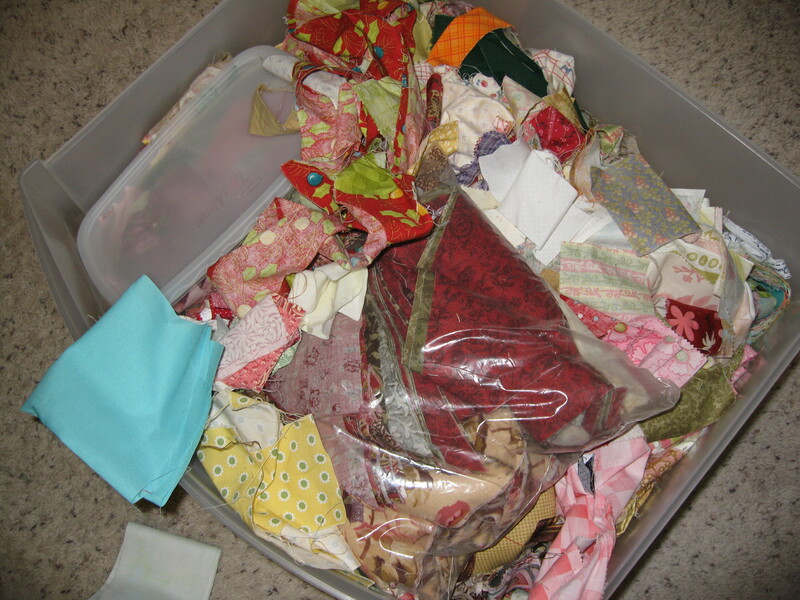 Someone told me once to save all of my extra bindings and if I was to ever make a scrap quilt, I could just sew them all together. You wouldn’t believe how many strips of those I had. 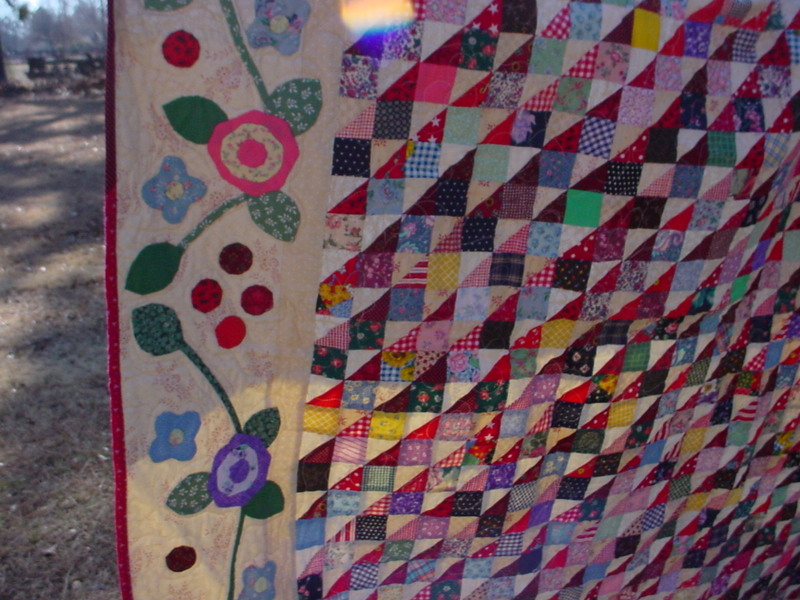 And if there is any doubt that a scrap quilt can be amazingly awesome, just check out the one my mom made from her scraps a few years ago. I decided to tackle the overflowing scrap bin and it has taken me longer than I anticipated. I swear, every time I’d grab a handful of fabric from it, it would get bigger. I guess it was so compacted that i didn’t realize how much was actually in it. This is what I’m working with…. What a mess, huh? So, I’m going to give myself a couple of more days to work on this. I’m almost there. I would like to share something I’ve been working on with you. I began working at the LQS and was asked to make a sample for an applique class I might be teaching in April. I came up with a cute little design for a wall hanging. I used “It’s a Hoot” charm pack for this and a linen looking background. I seem to have a thing for turquoise lately. I’ve never had to do something like this before and I didn’t want to disappoint and I think that’s when things start to go wrong. I didn’t trust my instincts that I’m good at this and was forcing my process. It’s definitely not my best work and had many “issues”. I’m not a quitter though. I know that my next project will be better and I’ll find my confidence. I’m working on a cute bug quilt for a store sample that I hope to show ya’ll later this week. I’m very excited to be a part of a team again! 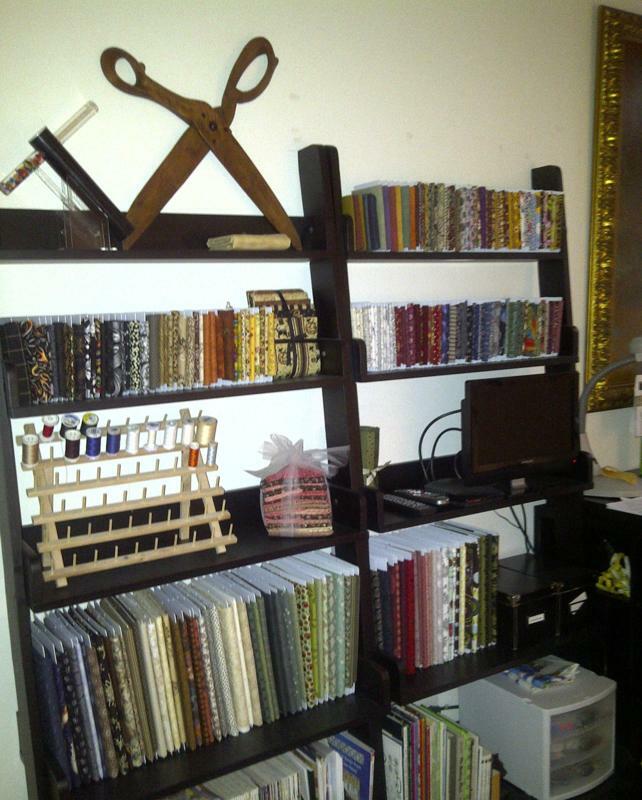 As some of you know, I use my loft space as my sewing room. 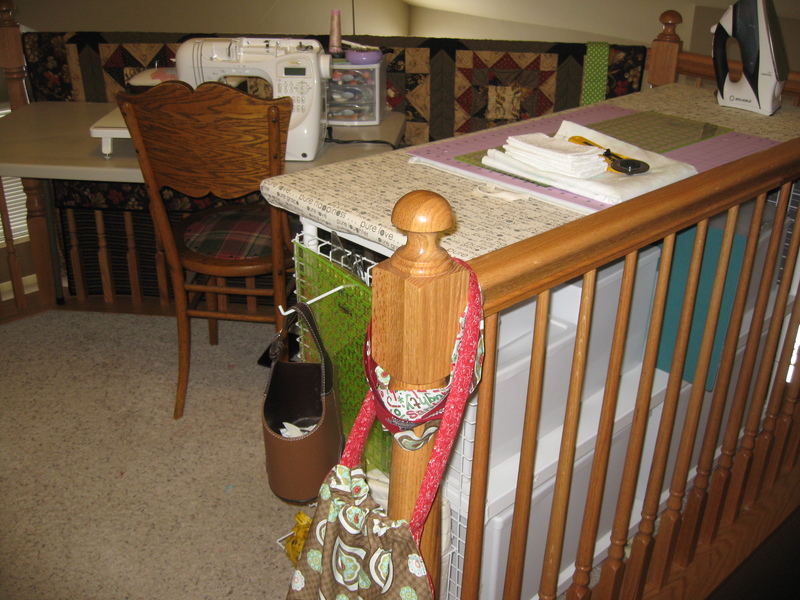 Sure, it’s small but I’ve grown accustomed to the spot and I’m not sure I would be happy sewing anywhere else in my house. In order to keep my sanity though, I’ve got to be organized and I can’t keep too much of a stash on hand, so I try to use what I buy. 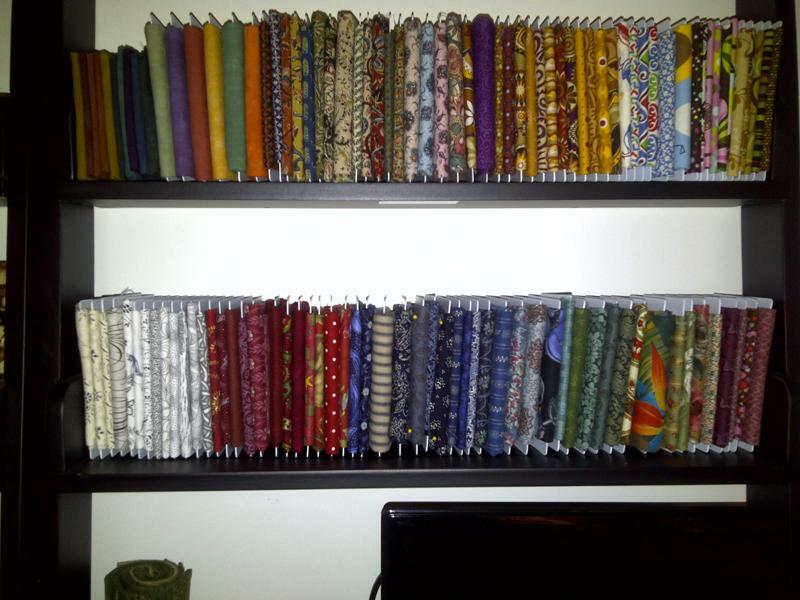 What little fabric I have, I organize by color, unless I’m not ready to break up the line just yet. 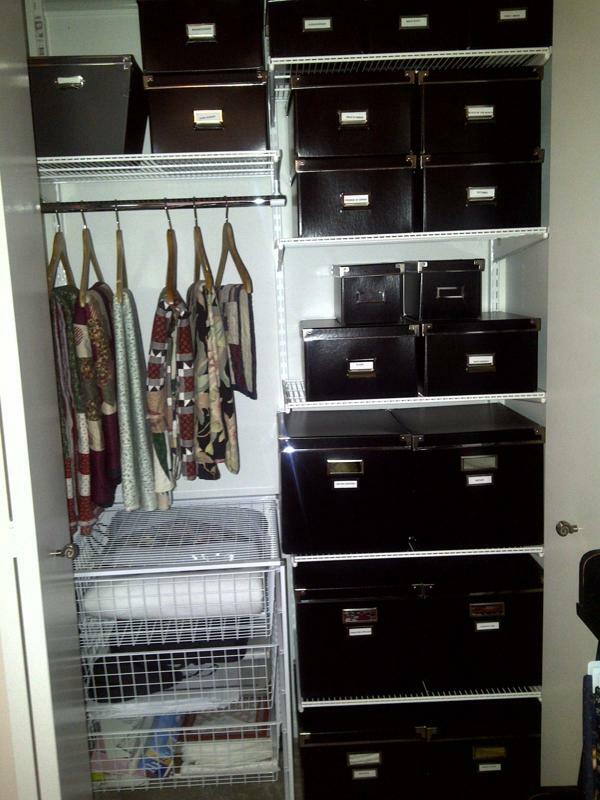 I wish I had a “before” pic of this closet. Every time I’d open it, stuff fell at my feet. Embarrassing…yes! 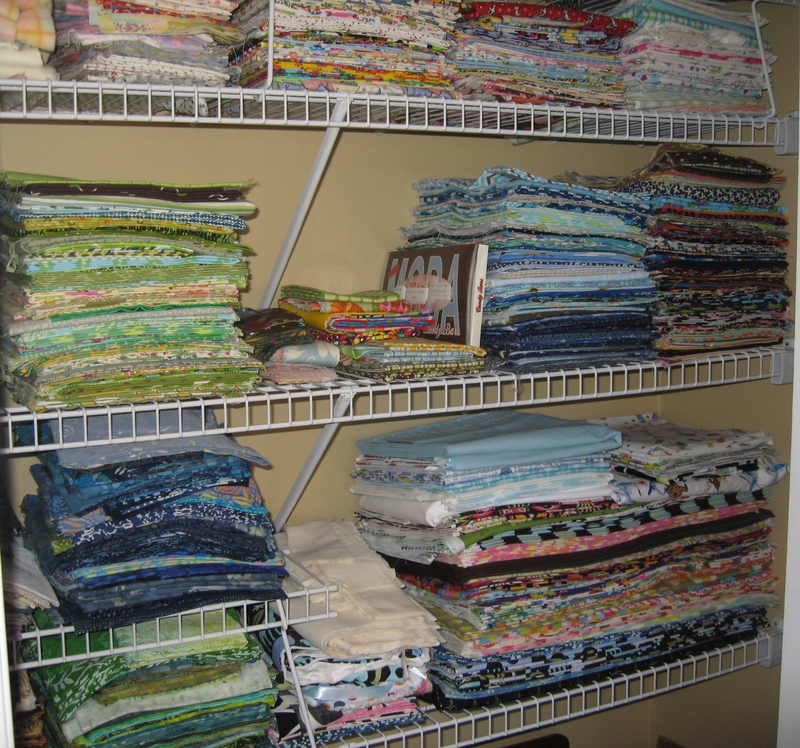 Paige suggested organizing by color and folding flatter than the fat quarters to optimize my space and be able to find things faster. I gotta tell ya…I’m loving it! I bought a big binder and added these clear pocket liners to keep track of all my loose papers and patterns. I built an ironing table with the help of the Container Store. It has a heavy board about 2 yards long as the top. I covered it with batting and then decorator weight fabric for the ironing surface. 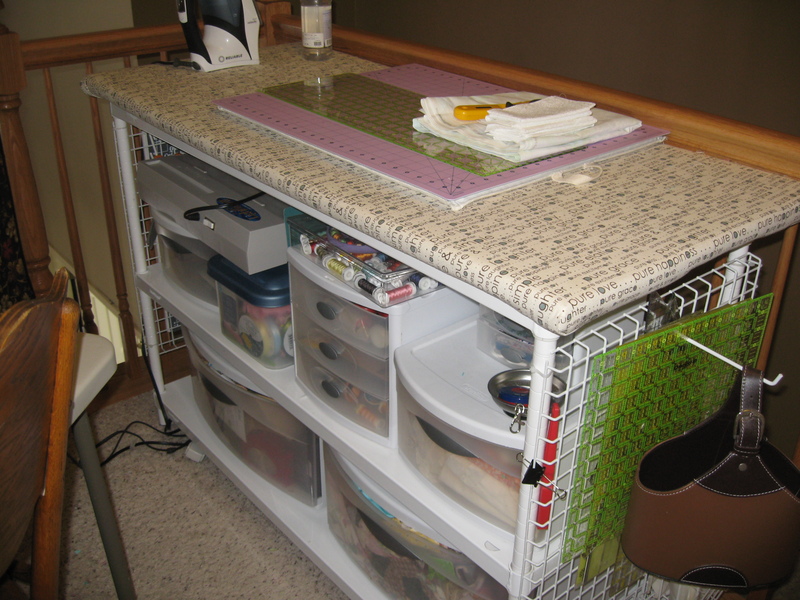 I bought a June Tailor Quilting Square from Joann’s and glued a cutting mat on the back of it to use as my cutting surface on top of the ironing table. 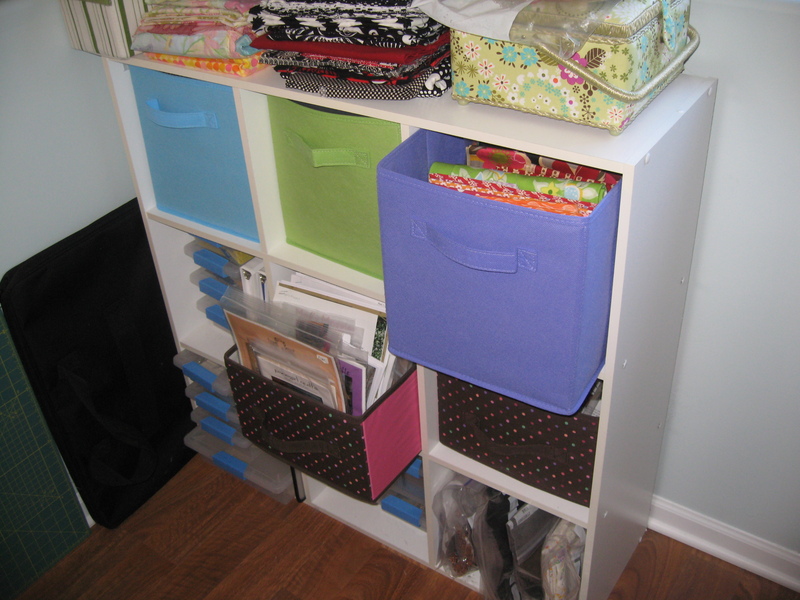 The bottom has container storage which houses a giant, annoying, unbearable to look in, overflowing, and I don’t dare open scrap bin, precuts, trims, supplies, to-do and current projects. This used to be a batting covered board propped up against the wall. I would bump into it, the dogs would knock it over and it was just plain ugly. I had a neighbor frame it and we hung it on the wall. One of the best things I did for this tiny space. 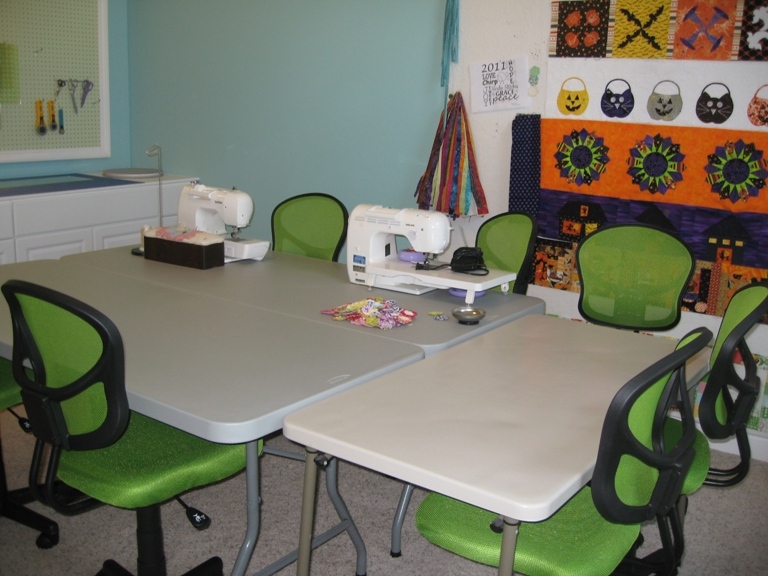 A visit to Paige’s sewing room…. This is her new work table. 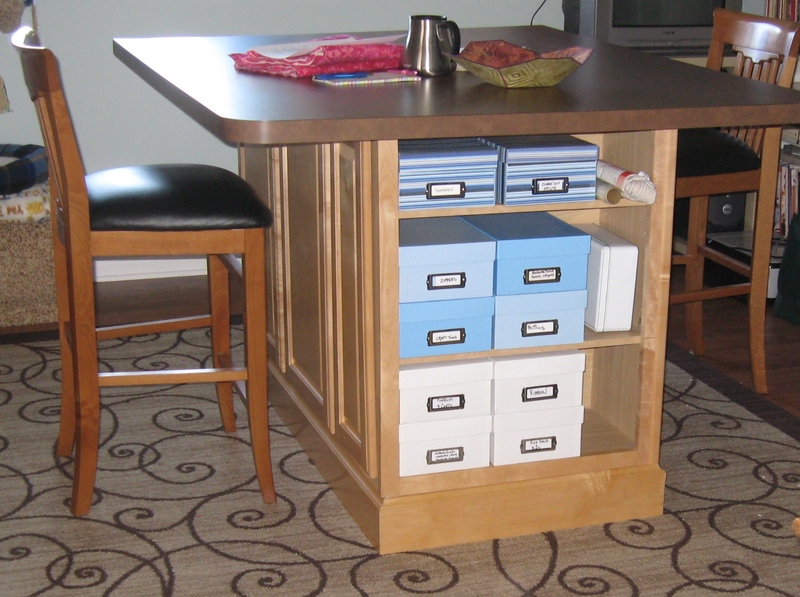 A huge table top with lots of cabinet storage underneath. She keeps a lot of her supplies stored in these blue boxes, like buttons and marking tools. She organizes her to-do projects in basket cubbies. 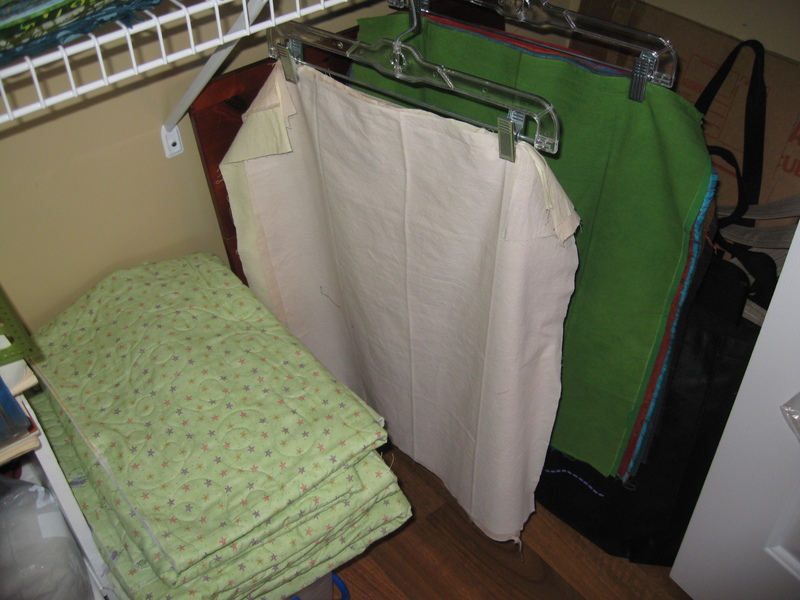 Her fabric closets are also organized by color. 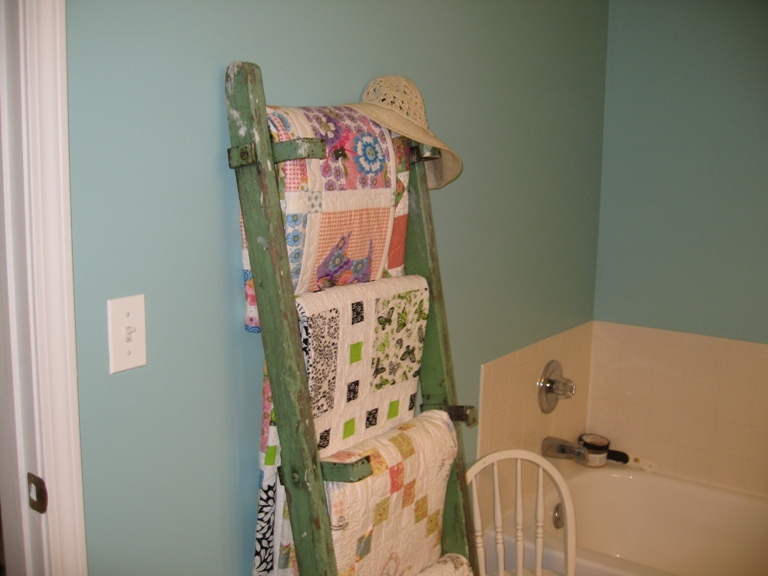 Hanging your “waiting to be quilted” projects or these hand dyed fabrics from hangers is a great idea. 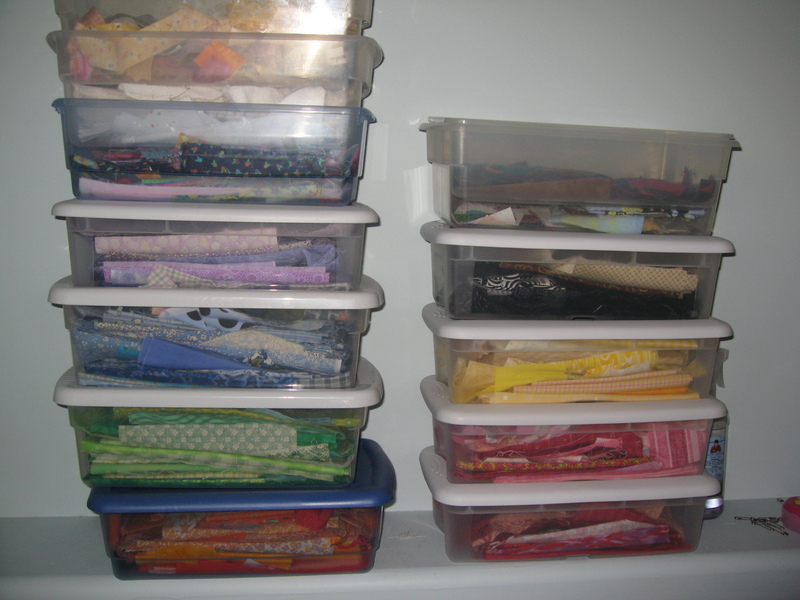 And I gotta say, her scrap bins are way more organized than mine. 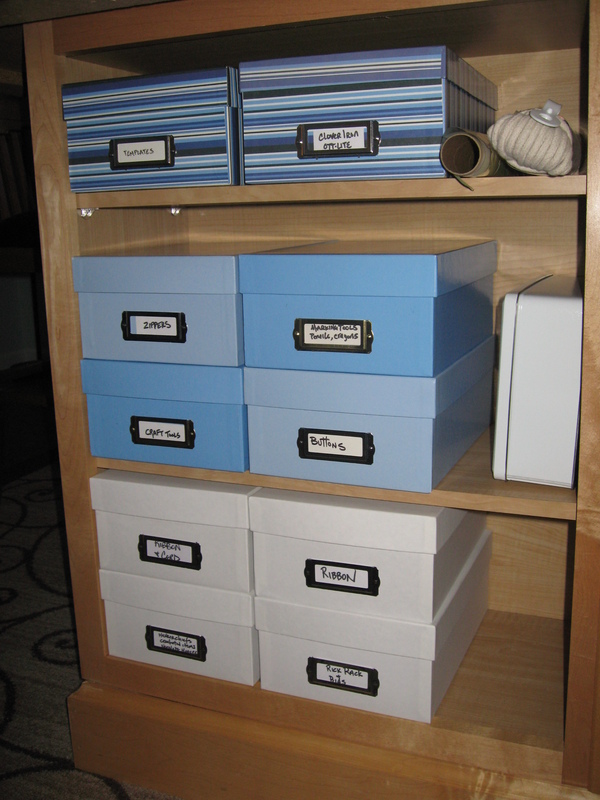 Beware…you will leave navigate away from this post with organizational envy. 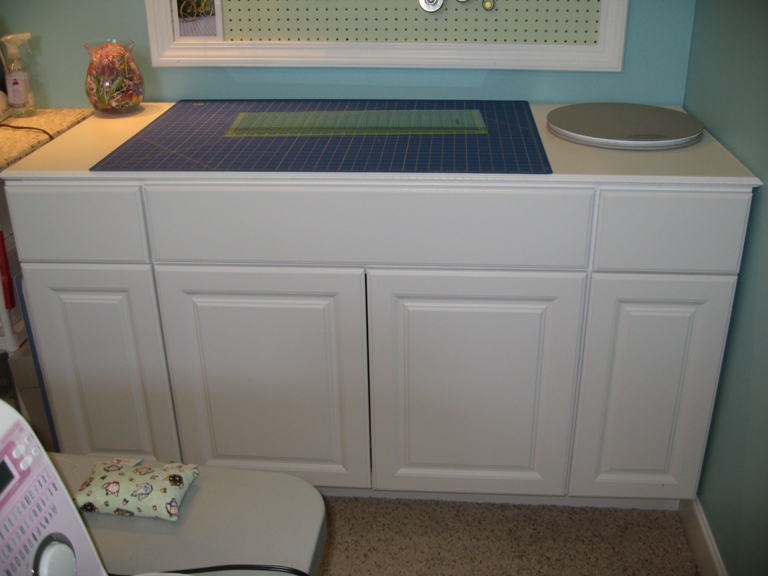 So, you’ve heard me mention SuperCool Kelly before…I like to call her that…Well, she’s sent me the pics to her new organized sewing room, and I gotta say… WOW! 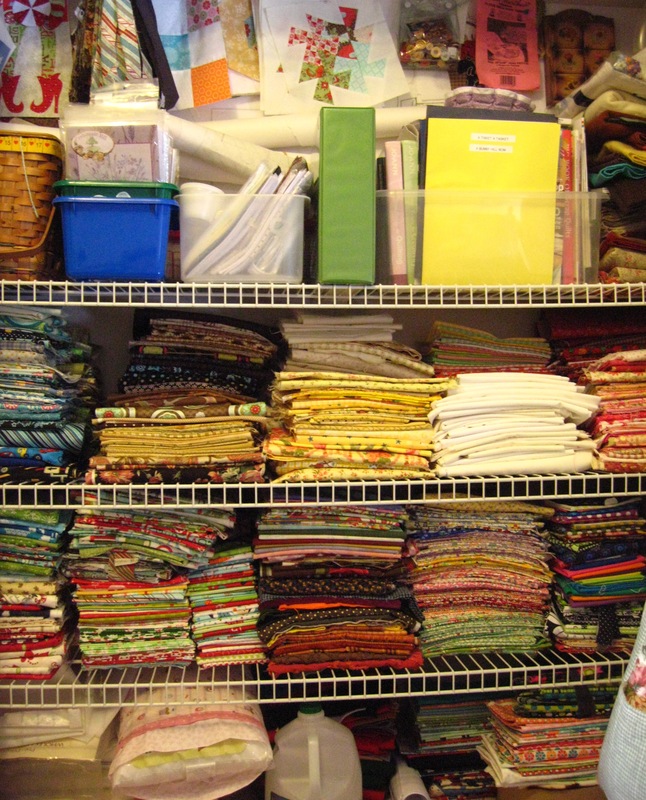 Her fabric is so organized, she doesn’t even have to hide it. Look at this wall display. The fabrics are wrapped around mini bolts from Polar Notions. 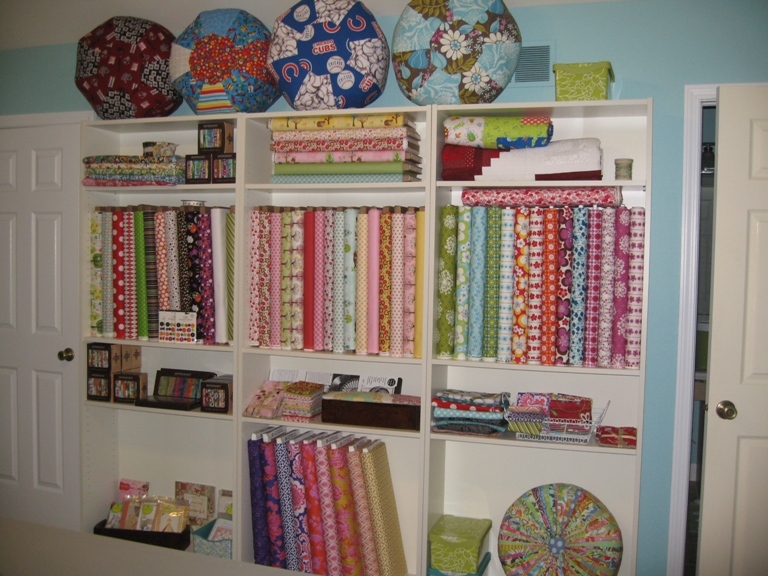 It’s like a tiny fabric store. She calls it her fabric library. The black boxes are from Ikea and have labels on them using a P-Touch label maker. This is where she keeps all her projects. 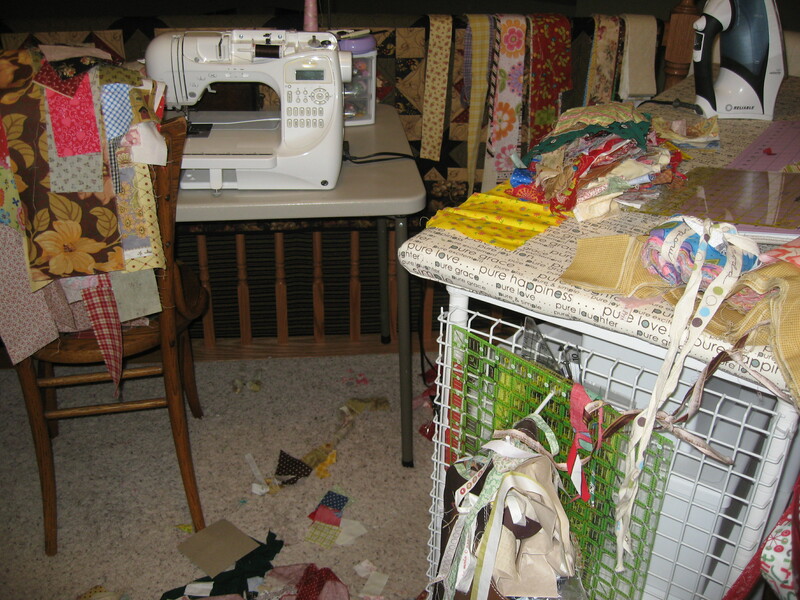 I get to see this fabulous sewing room in person next month. I’m not sure I can wait! 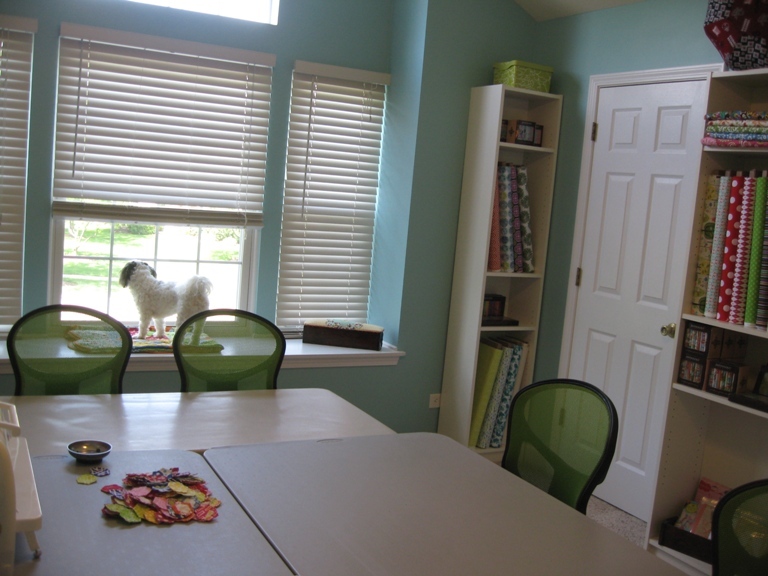 I hope you enjoyed looking at Kelly’s sewing room as much as I did. Thanks for sharing your pics with us Kelly! How many of you would like to organize for the new year? 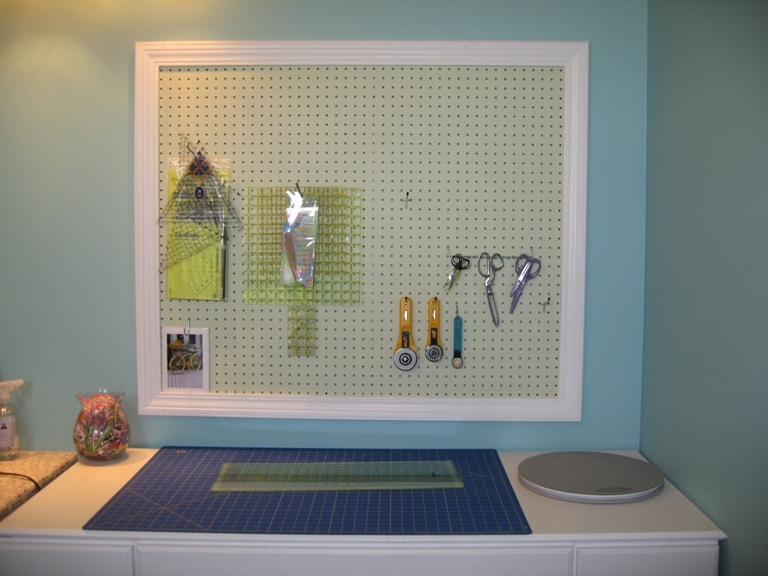 I know I could use all the help I can get, especially since I sew in such a small space. 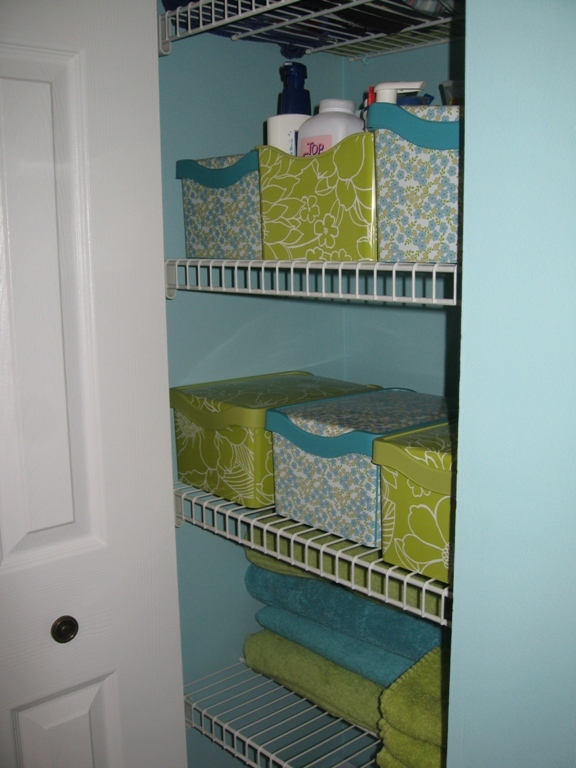 So every Tuesday for the month of January we will be talking about organization… rooms, spaces, closets, drawers etc. 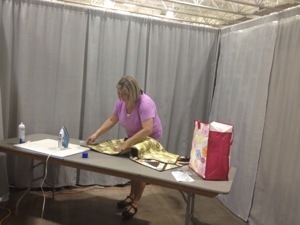 We will also be showing you some of the tips from the girls in our SewMod group. A peak behind the creativity. Every time I went to take a class at the LQS I would end up having to purchase something because I just didn’t have a complete kit put together for leaving the house. I can’t even begin to tell you how many red spools of thread I have because of this. 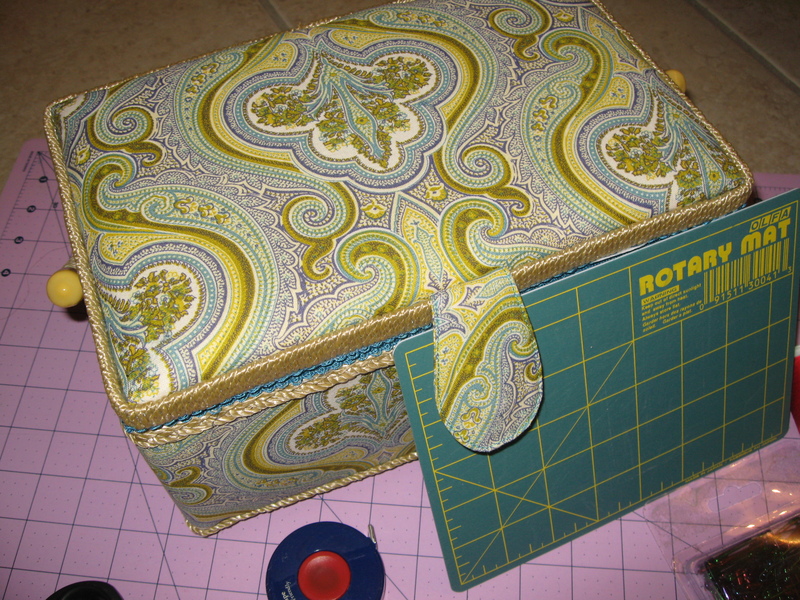 Paige carries a sewing box purchased from Joann’s that has all the essentials in it. I loved that idea! No more scrambling at the last minute. My brother and his girlfriend sent me this one for Christmas and my best friend gave me a Joann’s gift card. So, off to fill up my new kit. This could be ready and waiting for you. No more hassle trying to remember the tools and supplies every time. Just grab and go. Take it to class, retreats and sew-ins or on the road with you. Thanks for the great idea Paige!